Ah biscuit week. The one where I always think ‘oh I can do that’ and then fail miserably. 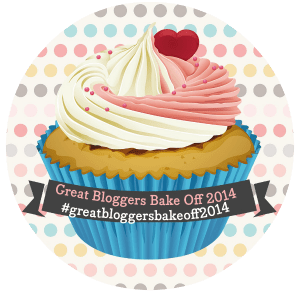 Last year we had to make towers of biscuits and this year the challenge once again involved precarious balancing and a certain amount of artistic talent – something I don’t have much of. First up I decided I would ignore the 3D challenge and just try out a new recipe. I have had the Hummingbird Bakery Home Sweet Home recipe book for months but have never dared attempt any of the beautiful recipes inside – this was the perfect excuse. I could have left it at that but I just wasn’t happy with them so I decided the next day to have another go but this time just use a simple vanilla sugar cookie recipe and try to construct a 3D scene. I did commit the cardinal sin and used ready to roll icing for decorating my biscuits but the artwork was all hand drawn on with an edible ink marker pen. This took aaaaages but was quite good fun. 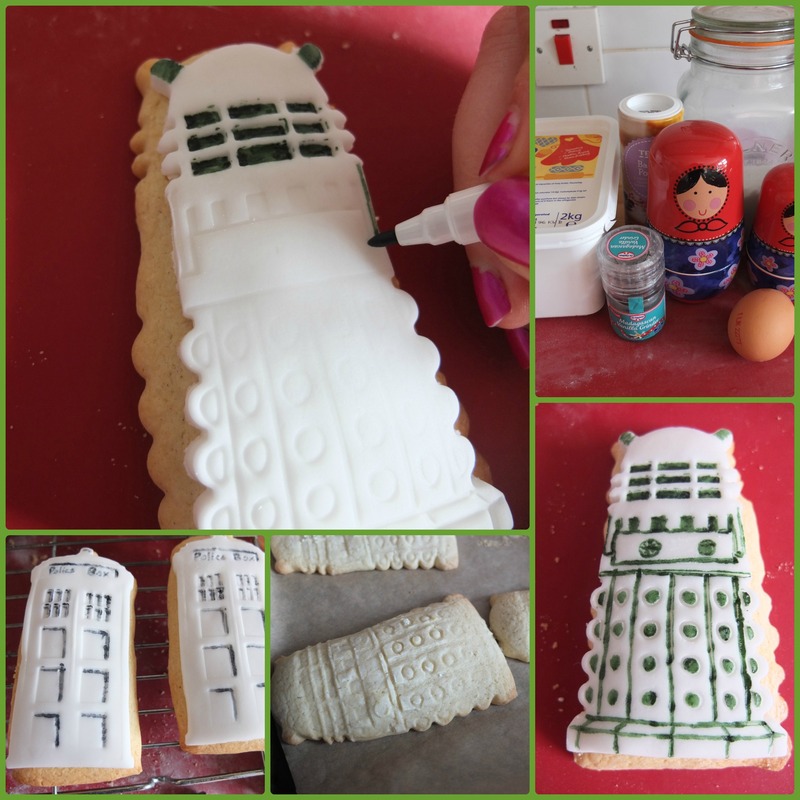 Once the ink was dry I mixed up some thick icing with water and icing sugar (in hindsight I should have added some egg too, but never mind) and began trying to get my three Daleks to stand up around my TARDIS. 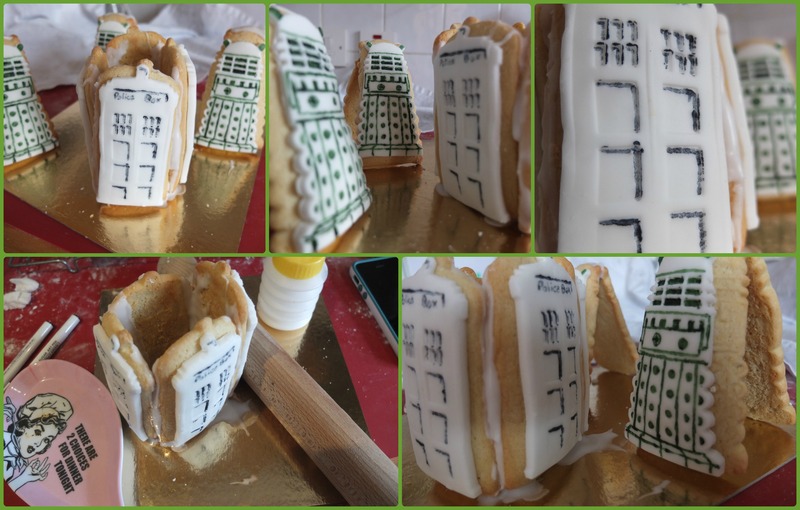 The Daleks worked quite well though and once the icing had set I was able to remove all the props and nothing fell down! Not the neatest 3D scene ever but I was pleased with it and it’s very tasty! There isn’t much left already!! I think you did brilliantly with both of your biscuit efforts! I love the sound of the linzer cookies and the idea of a dr who scene is great! wow you have been so busy baking all those biscuits. 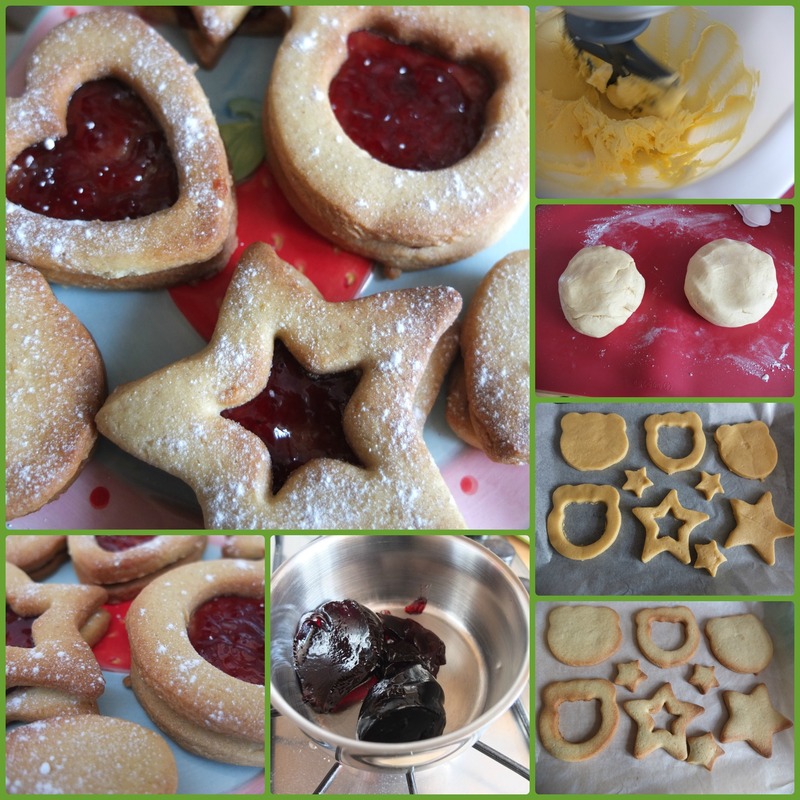 the linzers sound lovely with the jammy centres but your doctor who biscuits are just superb – so much fun!